1. Design your own printing checklist form. 2. Design a simple dummy 20-page magazine style brochure combining dynamic typography and photography. You can use placeholder text for body copy. For your magazine, use a spot varnish for the cover and design it using two spot colours. 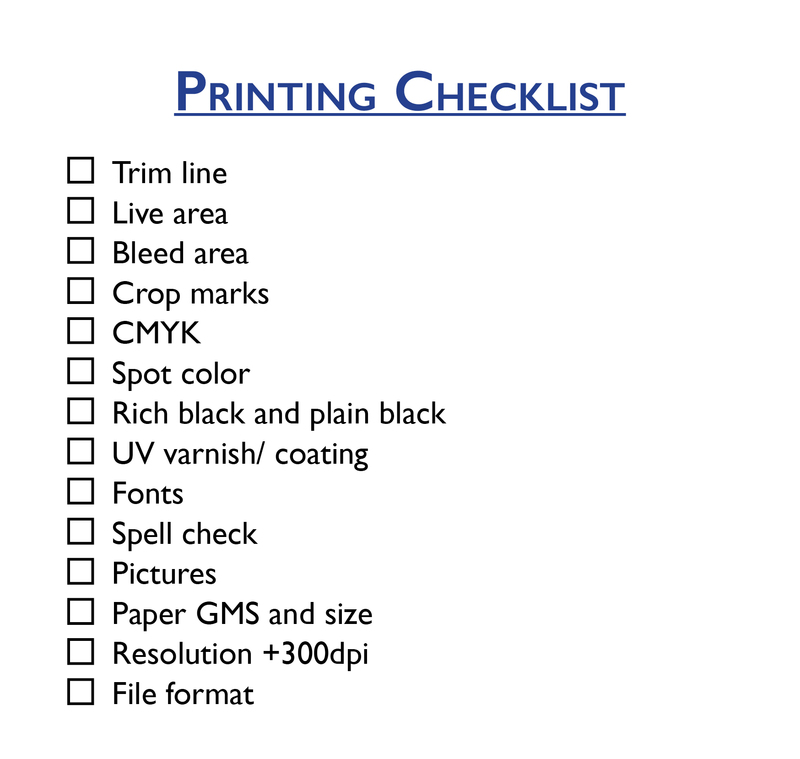 Make use of your checklist that you designed and prepare the file for print. Decide what paper weight and type you will use. Submit the print-ready file packaged from InDesign as well as a print-ready PDF. Make sure to include the instructions (like spot varnish, paper choice and binding) in the file.